So recently these coffee body scrubs and face masks have been popping up everywhere and are being used by some of the biggest celebrity names. 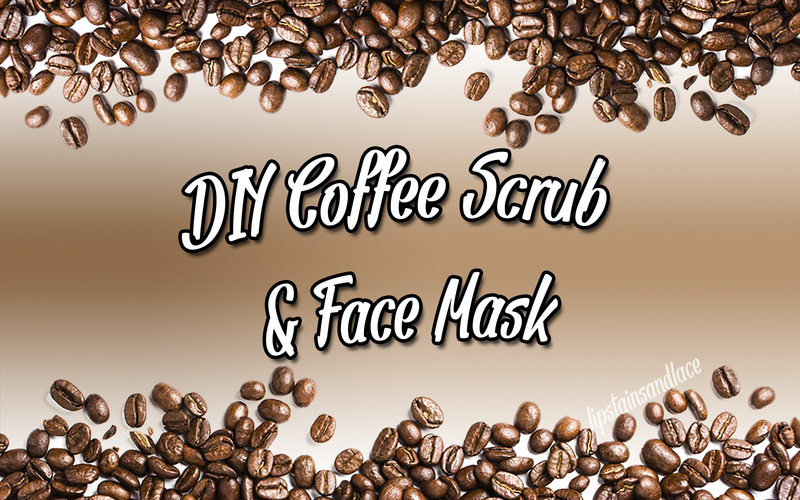 So I thought I'd tell you how you can make your own coffee body scrub and coffee face mask with ingredients you'd have at home and at no expense! Coffee is a stimulant and helps wake thousands of people up every morning but it can also do wonders for your skin. Coffee has been proven to reduce redness and inflammation when it's applied to your skin, coffee restricts the blood vessels in your skin when applied and helps reduce any redness or swelling you may have. Rubbing coffee onto your skin has also been proven to help exfoliate your skin and get rid of any dead skin cells as well as reduce the appearance of stretch marks. Coffee has also been proven to tighten your skin and reduce cellulite when applied routinely. It has also been proven to brighten up dull looking skin, put a shine on your hair and stimulate hair growth. Who knew coffee could be used for so much? To make your own Coffee Body Scrub you will need.. This will get rid of any dead skin cells, brighten and tighten your skin. To make your own Coffee Face Mask you will need.. The coffee face mask should leave your face feeling soft and refreshed as well as looking much clearer. Don't forget to apply the mask to a clean face and clean your face after using the face mask too!